With everything that’s going on in Ukraine, you’ve probably missed a much smaller scale series of protests that have taken place this month in Kazakhstan. These protests, stimulated by the government’s decision to devalue the tenge (Kazakh currency) by nearly 20%, are nonetheless noteworthy. Pretty much for the first time in its post-Soviet existence, young people in Kazakhstan are joining the protests, previously ground well covered by the country’s pensioners. Radio Azattyk has an interesting story which I picked up via Kyrgyz blogging site kloop.kg [which I can’t access today; hope it hasn’t been pulled offline] on the protests and the green shoots of a new generation of activism. The story [ru] is at http://rus.azattyq.org/content/almaty-week-and-protests-tenge-devaluation/25265768.html with photos and videos, but I have provided an English language translation below. Story (c) Eldiyar Arykbaev, Azattyk Radio; English translation (c) me. Even in the biggest cities of Kazakhstan, no more than 1,000 participants gathered for unsanctioned protests against the devaluation of the tenge [Kazakh currency]. However, experts say that the protests that did take place show that there are young people willing to take action, even though young people have been considered an apolitical mass. The recent sharp devaluation of the national currency [by 19%, see http://rt.com/business/russia-ruble-tenge-currencies-367/ and http://www.eurasianet.org/node/68060 for English articles] is much like the previous one of 2009, also in February. The depreciation of tenge savings, the jumping numbers on currency exchange noticeboards, the rising price of imports… Those were the arguments used by the government then, which seem to be being used again now. Five years later this ‘economic measure’ (as Kazakh President Nursultan Nazarbayev called the devaluation) is called an economic benefit. But there is something that distinguishes this devaluation from 2009: protests. They haven’t been mass protests, or carefully organised or centrally coordinated. The people taking part in these protests are not the pensioners who usually take to the streets when monopolists raise the prices on communal services. It has been young people acting against the devaluation, those who have grown up in independent Kazakhstan, during the reign of its first, and so far only, President Nursultan Nazarbayev. A few dozen young people gathered for the unsanctioned public meeting in Almaty on 15 February and it appeared that many of them met each other in person for the first time. They may know each other in virtual communities and probably even read and cite each other on the web. And what’s even more surprising is that a protest against economic problems – the devaluation of the tenge and its aftermath – led to political appeals from a fragmented and apolitical group of young people. “Shal, kyet!” (“Old man, leave!”) chanted protestors in Almaty on 15 February. When the police and municipal services staff blocked their way to the Abai monument, they moved to Republic Square, where the most active protestors were detained. As a result, dozens of demonstrators were fined and there were reports that one activist was arrested for 10 days. On Sunday 16 February, another protest against devaluation took place on Republic Square. Those who came to the unsanctioned rally found that the area around the Independence monument in the centre of Republic Square had been closed off with a sign saying ‘Works taking place’ – but there were no signs of repair crews. Instead, there were dozens of police officers and police cars. Activists resorted to allegorical methods: Zhanna Baytelova and Yevgeniya Plahina unsuccessfully attempted to lay lace knickers on the Independence monument. Art historian Valeria Ibraeva came to the square wearing lace knickers on her head. The choice of women’s underwear was no coincidence: countries in the [Eurasian] Customs Union are bringing in a ban on the production, import and sale of lace underwear, designating it ‘not meeting the regulation’ of the union. The weakening tenge has been connected to the devaluation of the Russian ruble, the currency of Kazakhstan’s main trading partner in the Customs Union. “Our message was that, with this devaluation, the state has stripped us to our last pair of knickers. It’s a violation of our rights – decisions are being made for us that we have to wear,” said Zhanna Baytelova to Azattyk. The police also detained several activists from the Sunday protest and released them after taking statements. 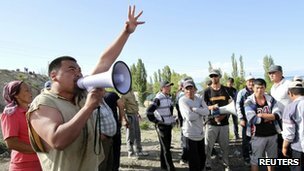 During the protests of recent days, experts have observed the growth of a general trend towards the formation of a new protest and political culture in Kazakhstan. The main role in that process is being played by young people, who have access to alternative information sources on the internet and indeed are spreading this information. “The anti-devaluation protests haven’t been organised by political groups or by the opposition group Acorda. These protests reflect a growth in political participation, in citizenship in general,” said political scientist Talgat Mamyrayimov. Dosym Satpayev, Director of the Risk Assessment Group, believes that the anti-devaluation protests show signs of dissent amongst Kazakh people, and not only amongst young people. 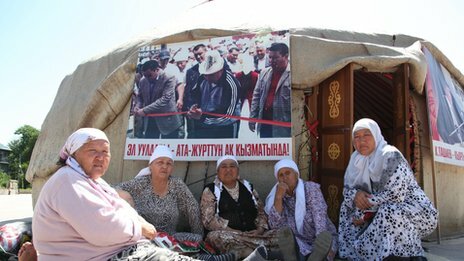 He gives as an example the fact that the older generation were also present at protests at the National Bank of Kazakhstan and at Almaty city council held immediately after devaluation was announced. 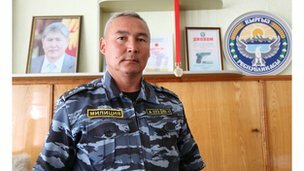 “This is a serious signal for the Kazakh authorities, who for a long time have convinced themselves that society is under control and that there are no protest groups. The saying ‘from a spark comes a flame’ is very real for post-Soviet states. The ‘Arab spring’ has demonstrated that the logic of protest and waves of dissent can be completely unpredictable for governmets. These past rallies shouldn’t be seen as small actions of protest that won’t affect people. On the contrary, many have seen that there are people who are ready to publicly assert their rights, publicly criticise and protest the state’s policies,” said Dosym Satpaev. He suggests that youth leaders and new socio-political movements representing a wide range of interests will start to form. Under certain conditions, believes Satpaev, it is just these ‘new players’ who will define the political landscape in Kazakhstan after a change of power. This entry was posted in Kazakhstan, Uncategorized and tagged devaluation of the tenge, Kazakhstan, political participation, protest culture, protests, young people.